Ten has a similar strategy to Seven, by which users on TenPlay must become log-in and become declared users to access premium content. Dickens revealed that the platform now has 3.7 million declared users but added that it would look to emphasise a stronger value exchange over the next two years, with deeper content catalogues, as well as a new streaming strategy for the upcoming Tokyo 2020 Olympic Games. He says roughly 25% of 7Plus users are currently fully declared, however with a new BVOD strategy in 2019, which will be underpinned by a deeper content offering as well as new user experience features, the company is expecting to bring that number closer toward 50% in the next 12 months. Despite this, Dickens says the network will not be shifting its strategy to simply "building numbers", but will focus on ensuring Seven gets "the real me" when asking users to sign in. "It's not the numbers we focus on and that's not about what we do. For us it is about quality and active human verification, it's about reaching real people, not devices or cookies. Agencies aren't looking to target devices or cookies either," he says. "When you are forcing someone to sign in for a product you don't get 'the real me', you get a fake version of me, so it's important that we keep our digital verification as a non-mandatory sign in so that consumers can actually decide whether they want to share their first-party data with us." 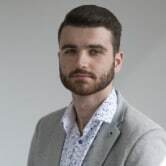 Seven digital sales director, OTT video James Bayes adds that the strategy is underpinned by a need to offer customers a greater level of transparency when it comes to digital interaction, pointing to recent international data and privacy scandals as a key reason. He says the network is working "harder than ever" to give its users a "relevant" digital advertising experience to generate further declared sign-ins. "If you're saying to people 'log in and we will give you a better experience', then we'll use your data to provide and underpin that better experience, that's a meaningful transaction and there's openness in that relationship," Bayes says. "People are more inclined to give you that accurate data because if they know they falsely declare themselves a 55 year old female just to access a platform, they are going to get sent content that is vastly different to what they need. "This is when they think 'maybe I should give you my identity because I will get something that's more relevant to me'." Seven will remain committed to its dual declared and non-declared broadcast video on demand (BVOD) sign-in strategy for 7Plus, despite other networks zoning in on declared only. 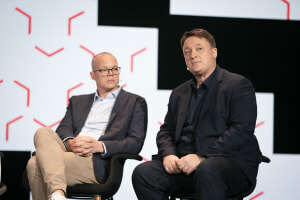 Speaking at this year's Allfronts, Seven chief digital officer Clive Dickens says the network is focused on securing declared users, whereby people sign-in with personal details to access content, but adds it must be a "fair deal" for both parties instead of simply targeting "devices and cookies". Dickens told AdNews that the network "felt very strongly" that not only should signing in be optional on all levels, but when people do decide to give Seven personal data there should be a value exchange and have it made clear to them how the data will be used. "We must ensure that we deal with that data in an ethical and trustworthy way, with the ultimate privacy in mind. It's not just a collection of email addresses and it's our core responsibility that we get it right," Dickens says. "There's way too much talk about millions and millions and not enough talk about the quality, trust and the privacy." As part of Seven's BVOD strategy, 7Plus users can view a limited offering of content without having to sign into the platform, as opposed to Nine and SBS, which both have mandatory logins for 9Now and On Demand, respectively.